It could not be easier to get the kitchen that you've always wanted. Uncover the secret of a stylish kitchen with The Kitchen Centre. Our showroom is the ideal place to come and gather inspiration. Our experts will be delighted to discuss all available options with you and fix a set budget to work to. Feel free to also take away our brochures and share ideas with all the family before you commit to one. "Top quality kitchens and a professional service. Highly recommended." It’s never been simpler to enjoy your perfect kitchen. Once you’ve decided on a style, our experts come direct to your home and complete a swift survey. Several 3D design ideas are then created and we present these to you. We welcome any suggestions for alterations. When you’re 100% happy, just give us the go-ahead for starting work. Want a new kitchen designed for you? 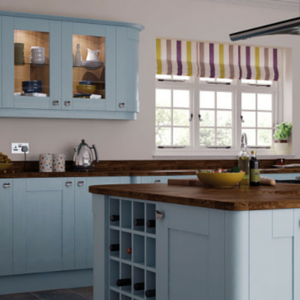 Once you've decided on your new kitchen design, our kitchen fitters can install it for you. All of our kitchen fitters are expertly trained and will ensure that you receive the highest standard of workmanship every time you use us. We can even fit your new kitchen for you!